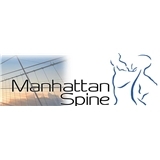 Manhattan Spine Rehabilitation (New York) - Book Appointment Online! Manhattan Spine Rehabilitation (MSR) is a multidisciplinary Complementary Integrative Medical facility that place emphasis on nutritional, exercise/fitness programs, and lifestyle modifications for promoting physical and mental health. Our team consists of a board certified pain management M.D., chiropractor, physical therapist, acupuncturist, certified Pilates trainers and massage therapists. At Manhattan Spine Rehabilitation we created a "one stop" shop where there is usually no need for an outside referral for testing. We have a team of medical specialist and a state of the art high tech digital X-Ray system and neuro-diagnostic testing that will allow our team doctors to have the test results immediately. To make things even more convenient and 'painless’ for you, we are open late, 5 days a week with TWO locations ONE block from major transit hub. My visit was nothing short of great. From the minute Dr. Christine introduced herself she was very attentive and kind. She was able to identify the cause of my back pain and recommend treatment. I would definitely recommend her to friends and family in need of a chiropractor. Dr. Chase is super attentive and really listens to your concerns and questions. I always feel amazing for days after having acupuncture with her!